The initial infection begins after the virus spreads through a nightclub and is quickly transmitted throughout the city. After a night of disturbances across the whole of the United Kingdom, the police and emergency services lose control of the situation, with hospitals overrun and the dead coming back to life to attack and devour the living. With the cities now the domain of the undead, the survivors flee the built up areas and take refuge in the countryside and small villages. 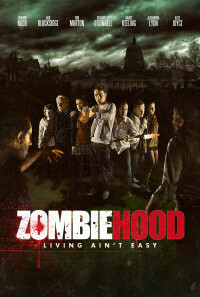 Zombie Hood follows the story of a small group of survivors who are thrown together in the outskirts of Nottingham. Like Robin Hood and his merry men, the rag tag band look to Sherwood Forest for sanctuary, but soon find out that even the countryside isn't a safe haven. With food and supplies in short demand, the group find themselves arguing over their plans for survival, which isn't helped by Sam, a wayward teenager with a confused and dangerous personality. Dermott, a police officer, attempts to take control and lead the group to safety, but has to watch his back every step of the way with Sam constantly questioning his every move and motive. Rik, a lovable young man with a caring nature, provides light relief from the constant tension, but constantly struggles to come to terms with sudden demise of mankind. The key to survival rests with finding one of the army or refugee camps that have been set up across the country, but with a small child and old man slowing the group down, their chances of survival are greatly reduced. Regions are unavailable for this movie. Click the "Watch on Netflix" button to find out if Zombie Hood is playing in your country.